Producing video content does not require a trove of equipment or a depth of technical know-how. From an equipment standpoint, the basic requirements are simple: a light source, a computer, and a smartphone equipped with a videocamera. With respect to production software, there is no shortage of available options and a list highlighting several of the more popular and/or useful ones follows. A motion graphics and visual effects toolset that connects your desktop and mobile apps with your creative assets to help you produce production-quality graphics. A suite of state-of-the-art creative tools—always up to date—to help you transform your ideas into reality on either your desktop or mobile devices. Post-production software that offers video editing, media organization, and 4K video—4000 pixels horizontal resolution—performance. A subscription-based, online resource offering unlimited downloads of royalty-free production music, sound effects, and loops. A popular online social networking service; the platform attracts more than four billion video views each day. Free and open source software that converts video created in just about any format into a selection of widely supported codecs (i.e., a device or computer program capable of encoding or decoding a digital data stream or signal); HandBrake is compatible with Linux, Mac, and Windows. A global community that shares more than 60 million photos every day; users may now upload and share video content three-to-fifteen seconds in length. Open source video editing software with modules for animation, compositing, and special effects. A popular, online visual discovery tool that you can use to find ideas for your projects and interests; offers video uploading. Free software that allows you to create animated videos and presentations. Voice recognition technology “listens” to your words and then scrolls as you speak; this on-the-go teleprompter technology works without requiring an Internet connection. Screencasting and video editing software (Mac) lets you record the contents of your entire monitor while also capturing your video camera, iOS device, microphone and computer audio. A popular, online social networking service that enables users to send and read brief, 140-character messages called “Tweets.” The service also allows users to upload video. An online, subscription-based site providing members with unlimited downloads of stock video, Adobe After Effects templates, and motion backgrounds. Marketing software that helps you to build a loyal following of fans, drive word of mouth, partner with influencers, and maximize brand affinity with organic audience development; designed to work in unison with YouTube’s platform. A video-sharing website in which users can upload, share, and view videos. Software employing drag-and-drop technology to make animation-style videos; there are four plan-options available, including one that is free. A video-hosting site that helps businesses add their videos to the Web, track performance, and find new ways to build community and engage with their audiences. 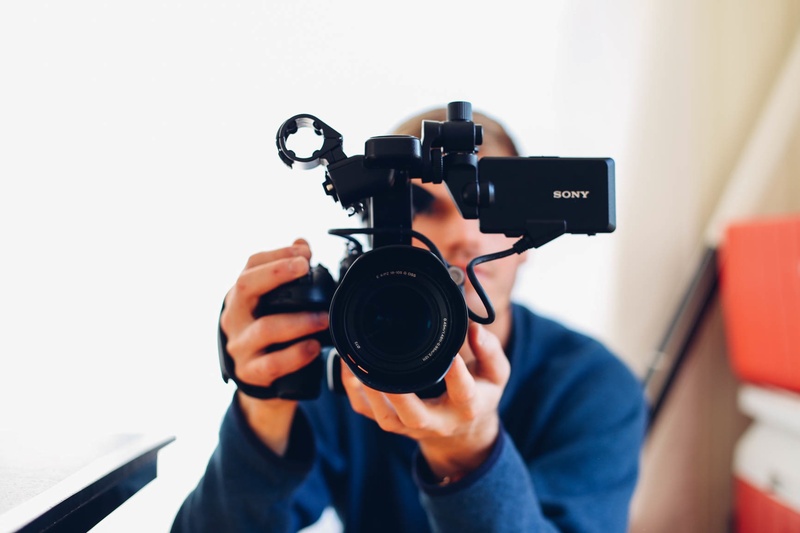 Before you begin creating your video content, start with an endgame: educational in nature, product- or service-related, entertainment-based, or in the style of a video blog where you share your thoughts or best practices within your area(s) of expertise. According to Mashable, it is a good idea to consider which features you will need before you make a software purchase—do your homework before you click “Buy.” Remember, too, that not all raw footage will work with every program. Consider including an online transcript of your videos as part of your video post to provide more utility to users who may want to first skim through the subject matter, or more easily take notes after viewing.